Chifa- Chinese food that conquered Peru. With the World top 50 restaurants in, there is yet again a spotlight on Peruvian cuisine. Its no surprise to us, we’re always loved Peruvian food! While the top end restaurants certainly have their place and are well worth a visit for a special treat while you’re away (make sure you book ahead! ), local Peruvian food is much closer to our hearts. We are very lucky to have offices across Latin America, which give us regular insights into ‘what’s hot’. Sandra from our Lima office tells us about the new Chifa revolution in Peru, that is growing popular across the world. I first heard about Chifa from my colleagues here in Lima, when they suggested it for lunch. Working principally with Peruvians is a huge advantage when you want to get to know a city; they introduce you to new food and show you the hidden gem restaurants which you would never find yourself. 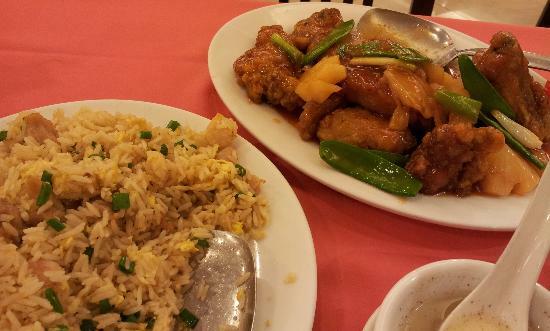 When they suggested Chinese, I found it difficult to imagine Chinese restaurants lining the streets of Lima and feared that I would be presented with the same bland food, lacking in authenticity that I had tried in other areas of the world. How wrong I was. As it turned out, Peruvian Chifa is very different from regular Chinese food that I have tasted in other countries. Chifa is a fusion of Chinese with Creole Peruvian food and the result is a unique taste that not only makes it popular in Peru, but slowly, all over the world. Whether you like Chinese food or not, you need to taste Chifa when you are in Peru! After doing some research, I discovered the Chinese culture is a deeply rooted part of Peruvian history, though quite often forgotten. Due to a labour shortage after the abolition of slavery in the mid-19th century, tens of thousands of Chinese immigrants came to Peru to find work in mines or on sugar plantations. Many Chinese people were also hired as cooks on the ships for the long journeys across the ocean. Once on land they continued cooking on ranches. When their contracts ended, they were able to start up Chifa-restaurants which served typical Chinese food made with South America ingredients. Since many ingredients were difficult to find in Peru, the Chinese modified their cuisine and incorporated many Peruvian elements to create the fusion food Chifa. Even today it is difficult to find authentic Chinese cuisine in Peru, but with the prevalence of Chifa, nobody seems overly concerned by this. Over time, these Eastern influences have found their way into traditional Coastal and Andean dishes. 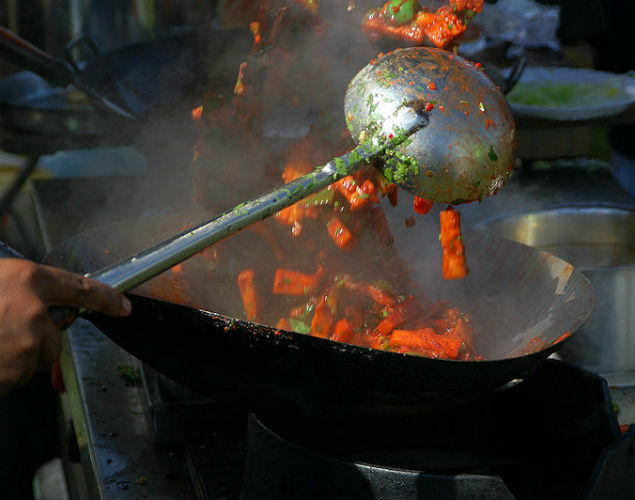 Chifa has become so integrated into national cuisine, that is is not longer really considered Chinese. The famous dish Lomo Saltado- beef and vegetables sautéed in soy and Szechuan root is just as at home on a Peruvian restaurant menu as guinea pig or ceviche. Indeed, Chifa is now very much recognised as authentic Peruvian food. The first time I saw the menu, I was utterly confused. I couldn’t make head nor tail of random names of the dishes. I ended up messaging a friend for recommendations. I am going to do you a favour now and pass on my personal recommendations, so you don’t get lost when you go. My absolute favourite is the Fried Wonton. 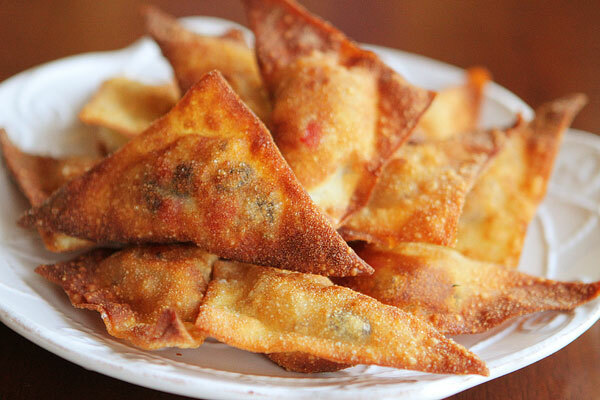 The delicious pork filled pockets are served with a sweet chilli dip and are great as a starter to share. I am not a huge soup fan, but the Wonton soup is also delicious. Other popular Chifa dishes include : Tallarin Saltado (Fried Noodles) and of course the Arroz Chaufa (Fried Rice), which is a big favourite. 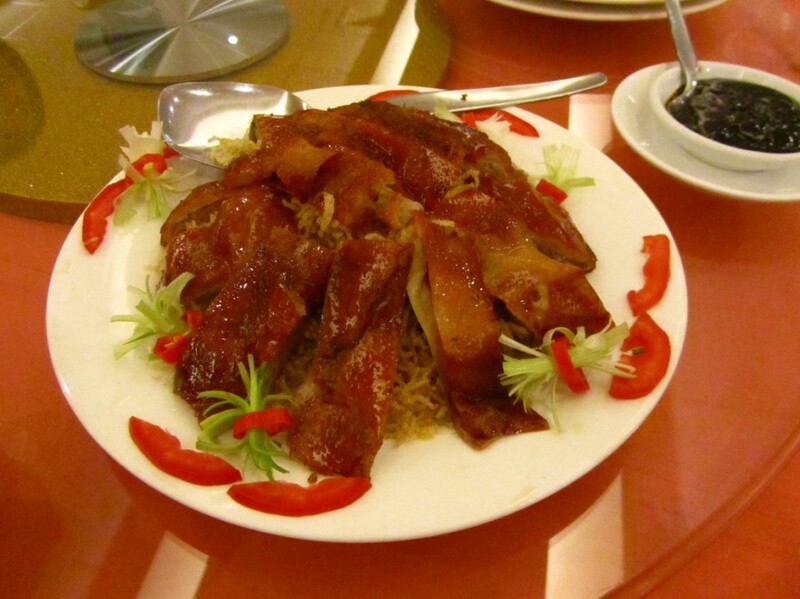 The fried rice is made with eggs, vegetables, meat and sautéed in soy sauce and oil. Other versions of Arroz Chaufa include shrimps, chicken, beef, pork and mushrooms. Chifa is generally, not very expansive, so whether you pay US$20 or US$3, the food will generally be delicious and of a good standard. So it’s really down to your own personal preference of the sort of restaurant you like to eat in- low key and local, mid-range or fancy. 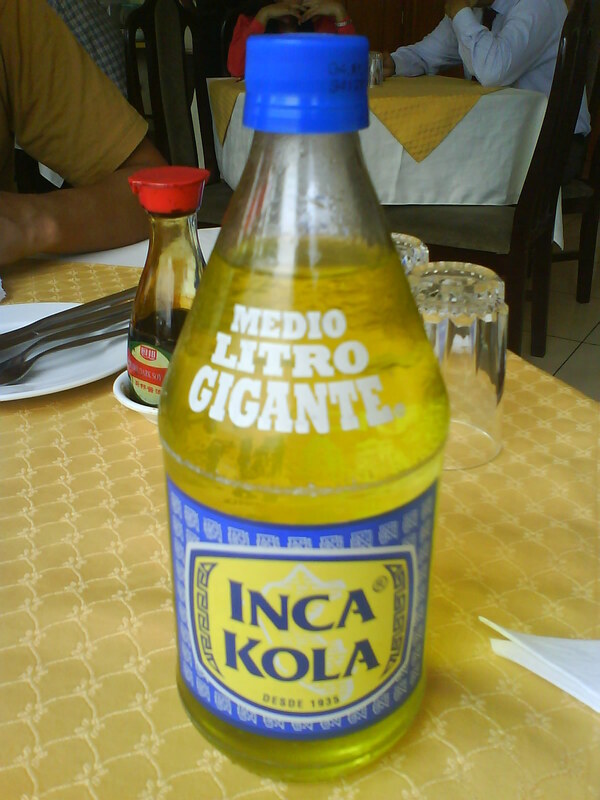 Whatever restaurant you choose, be sure to order an Inca Kola with your meal to add to the authentic experience. It is a bubble gum flavoured soda, using a herb native to South America. This Hierba Luisa flavored drink was actually created by British immigrants. Through clever marketing, this drink has managed to knock Coca Cola off its throne as number one beverage in Peru. 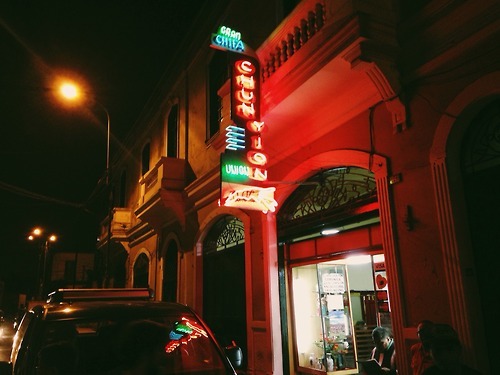 Wa Lok is among the best Chifa restaurants in Lima. Hidden on the second floor of a casino, this restaurant has dozen of appetizers and huge portions, so you better be hungry! Their Peking Duck is amazing! Opened in 2011, Madam Tusan is a restaurant of the iconic Peruvian chef Gastón Acurio. This Chifa will challenge your senses with a variety of 112 dishes and a great selection of cocktails. This is the first Chifa experience and I always return to this restaurant. There are literally thousands online reviews raving about this place. It also has a fantastic section of vegetarian dishes. It is more of a local place, which is always a good sign. Calle Carlos Tenaud 490, Miraflores, Lima. This spectacular Chifa restaurant has a beautiful Chinese garden. They have a high quality buffet with a huge variety of dishes on offer.